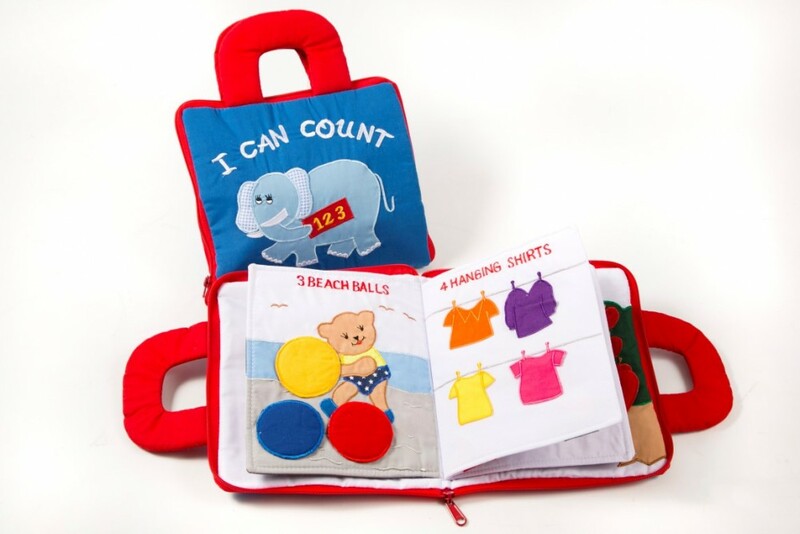 This fun and educational I Can Count fabric Playbook has 10 colourful and interactive pages with activities to help you learn your numbers. Each page has something to do, or a piece to take off and put back to make it more fun. 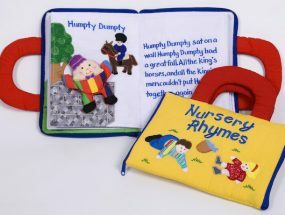 It all zips up so is perfect for taking on car or aeroplane journeys or just out to lunch and is light and easy to pack if sending abroad. 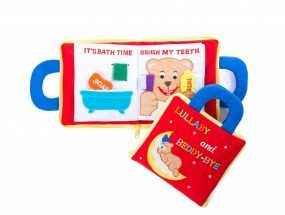 Bright and colourful this I Can Count fabric Playbook has 10 pages of activities to learn your numbers. 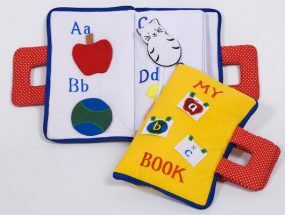 Each page has removable pieces on Velcro which little ones love to pull off and put back. Pages include 1 Teddy Bear, 2 Cars, 3 Beach Balls, 4 Hanging Shirts, 5 Party Hats, 6 Socks, 7 Flowers, 8 Steps in a Ladder, 9 Balloons and 10 Red Apples. This fabric playbook is made from poly cotton with poly/rayon wadding between the pages. It zips up and has a carry handle. Recommended hand wash.